The end of the minimum import price on solar panels and cells imported from China is opening a “huge door” for subsidy-free PV developments throughout Europe. That was the consensus of a keynote panel at yesterday’s Current Theatre, which explored the significant opportunity Europe’s solar developers and EPCs are now experiencing. Lily Coles, commercial operations director at UK developer Anesco, said that the repeal of the MIP in early September was already beginning to shift technology prices downwards, leading them to currently stand at somewhere between 25 and 30 pence per watt. However Knud Erik Andersen, chief executive at European Energy, cited industry forecasts that oversupply in China could send module prices down a further 30% to as low as 20 Euro cents per watt. With module prices falling so low, Coles said that Anesco’s pipeline of subsidy-free developments in the UK was growing. 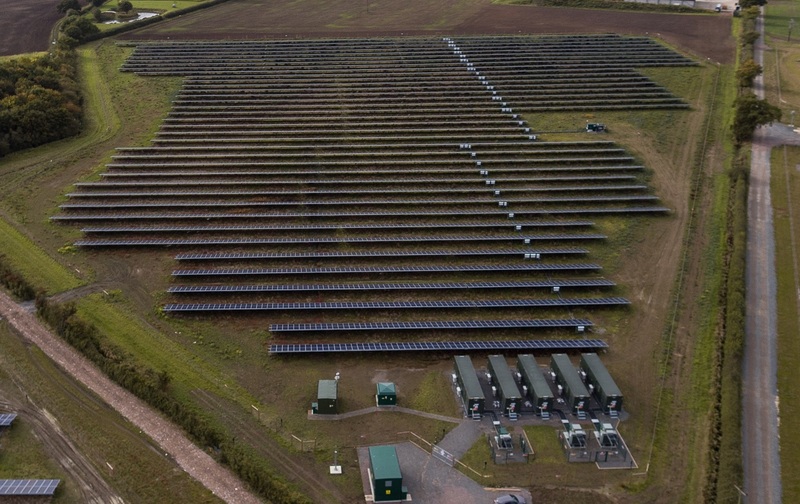 The developer built the first unsubsidised solar farm - the 10MW Clay Hill project - last year, but subsequent developments have not yet materialised. That stands to change imminently, with Coles stating Anesco to now be focusing on achieving cost savings elsewhere in the development puzzle. Coles said the biggest constraining factor to future developments to be grid connections and, as a result, Anesco is increasingly looking at connections to the UK’s transmission network. Benefits of such an approach were stated to be a reduced need for costly grid reinforcement works, while much larger connections were also common. Coles said that with the Renewables Obligation - and its 50MW limit - having closed, developers were also now pursuing larger sites. One such example was given as Hive and Wirsol’s joint venture project at Cleve Hill on the Kent coast. While no precise capacity has been given as yet, around 1 million panels could be installed on the site if it receives final approvals. Andersen said that economies of scale in such large developments would be a significant contributing factor to subsidy-free developments, citing the Australian market as a particular example. But also speaking on the panel was JinkoSolar’s European chief Frank Niendorf, who said that technology maturation was “at least as exciting” as cost reductions, with “significant potential” on the module efficiency and output side.